Hi everyone hope all is good in your world. We are needing your help we just got a new web site up and going was needing your input. Tell us if there is anything you don’t like or anything that you would like to see. We are able to do blogs on it as well. We are needing your of ideas for blog topics. You tell us what you want to know about and we will try to inform you. Please get back with us with your ideas and critiques. We are ready to serve you for all your pest control issue we service NE Oklahoma and SE Kansas. 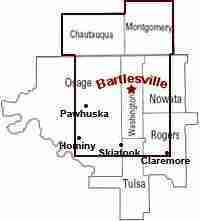 Cities in Oklahoma are Bartlesville, Dewey, Pawhuska, Skiatook, Collinsville, Nowata, and all the smaller towns in the areas listed. The Kansas cities are Coffeyville, Independence, Sedan, Cherryvale, and all the smaller towns in the areas listed. We pride ourself in personal, profesional service. Our specialies are roaches, ants, bedbugs, brown recluse spiders, scorpions and others. We take the time to inspect to figure out why there is a problem and work with you to eliminate it. Please give us a call at 918-440-8797 for any questions or concerns. We would also love to set up a start or inspection at your request.. I like it guys…looks great! Next Next post: Cricket season is upon us!